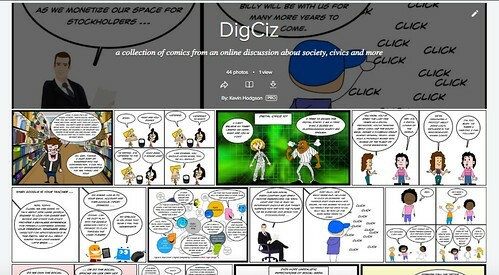 I made more than 40 comics during the DigCiz conversation, as a way to close-read blogs posts and writing, and close-view some of the video discussions. 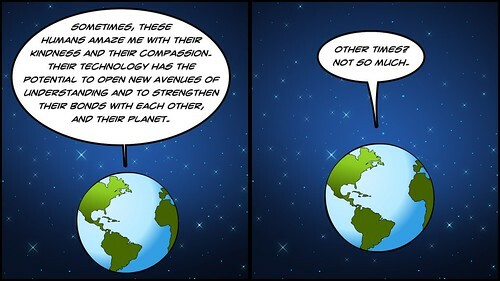 As always, some of the comics work and some don’t, and some need context to make sense. Some may not make sense at all, no matter your context. The “slideshow” button at the top of the page is the best way to view them, I think. 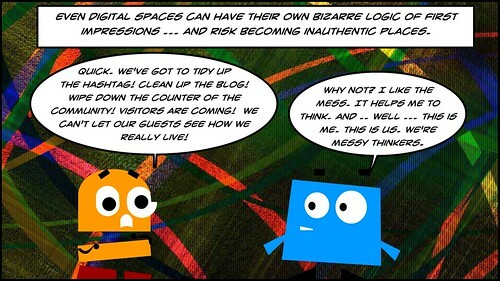 I’ve been using Vialogues to “slow-watch” weekly video hangouts of folks in the #DigCiz conversation. This “writing in the margins” has helped me slowly think about the topics — to push back, at times, and to agree at others. It often has taken me days to get through an hour-long discussion video. It has been worth it. You are invited, too, if interested. Thanks to folks like Daniel, Terry, Sarah, Wendy and others who have added to the side conversations along with me. I still wish more of the hangout folks would have spilled into the margins, too, and extended the conversations (as Maha did). I appreciate, too, how Autumm and Sundi have worked to gather voices and perspectives together, and how they have nurtured the discussions in various places. I have valued of all the points of view. What rights and responsibilities do we have in that system or that platform? 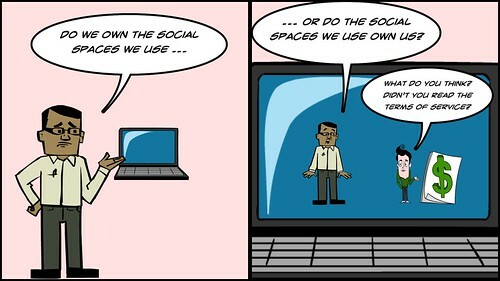 What expectations should people have in those spaces, such as Facebook or Twitter or whatever? Can we change those platforms if they don’t work for us? How do we best teach young people ways to navigate the terrain with optimism and engagement? 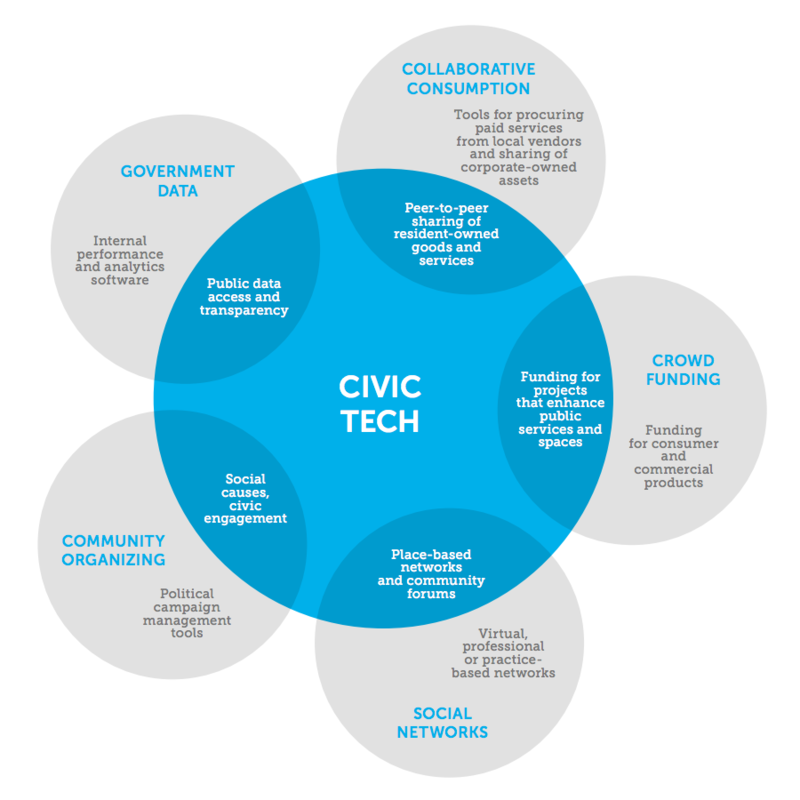 We’ve all done much chatting about these concerns, and more, and about how we address civics in the digital age. So, how do we take what we talked about and move it into action? Isn’t that always the conundrum? 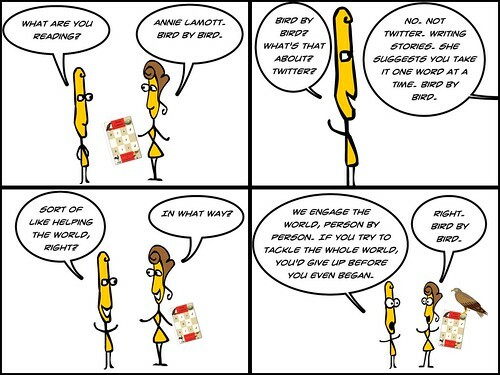 (See comic at the top for one way I tried to grapple with the question and found myself thinking of Annie Lamott’s Bird by Bird). 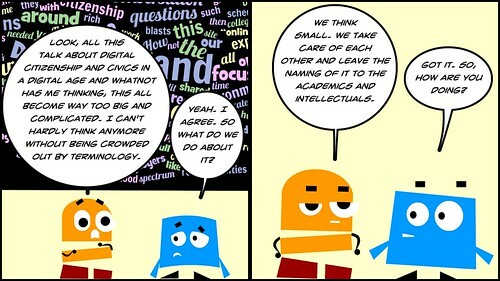 The point I was trying to make (and maybe fell into stereotype of academic folks, which is a bit unfair) is that we can all easily get bogged down in jargon and vocabulary and lose sight of the reason why were are engaged in conversations in the first place, which is to better connect with others and better understand points of view. As a K12 teacher often in the midst of university folks through work with our writing project, it seems as if I am surrounded by vocabulary — you can almost hear some folks planning their next education journal writing or book project as they talk and interact — and I was seeking to remind myself that deeds and actions are important. Talking only gets you so far. Words matter, of course. But where you take those words is a reflection on who are you and what you really want to see happen. Think small, but get it started. 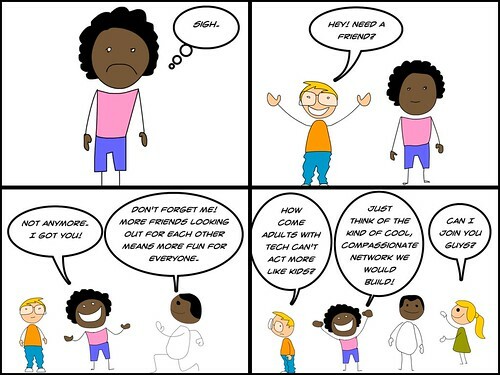 In the end, it has to do with being kind to each other and being open to differences, whether you are online or offline. 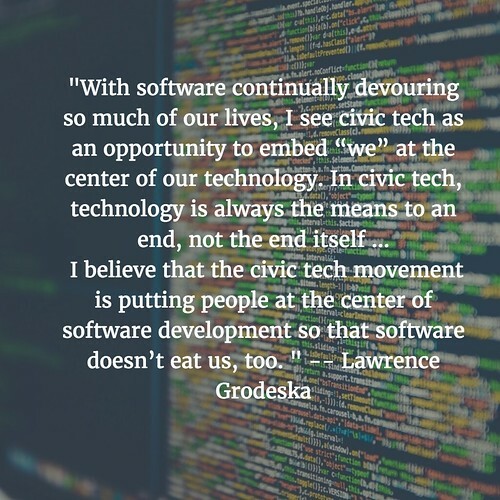 A #DigCiz post by Meg Mulrooney, which is worth your time as it centers on helping people move from digital interaction into political action, led to me to a post by Lawrence Grodeska, which got me thinking about a concept that came up during Networked Narratives about Civic Imagination. It’s the hardest thing to move from ideas to reality, from talk to action, and it takes time and planning and a shared vision. 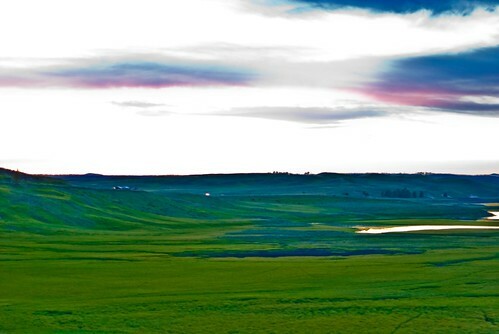 Our local writing project site has shifted into connecting Civics with writing, and with teacher leadership, and both of these blog posts may come in handy as educators ponder on their role in the mix of public discourse, and student engagement and leadership. Someone else shared this video out in the #DigCiz stream, and I appreciated the bend towards “human concern” in a world seemingly overrun by corporate interests, and the way those corporations are influencing the political realm that is impact us as individuals. How to effectively counter that push is the question facing many of us as voters and constituents. 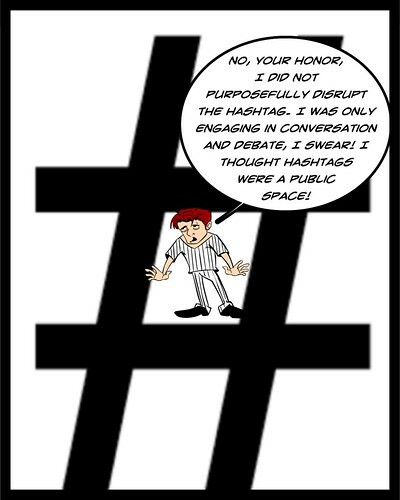 The conversations around the #DigCiz hashtag have certainly gone into different directions this past week. 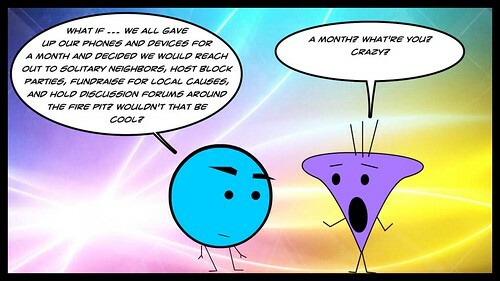 I’m still trying to create comics based off discussions, and blog posts, and tweets, and whatever folks are doing. 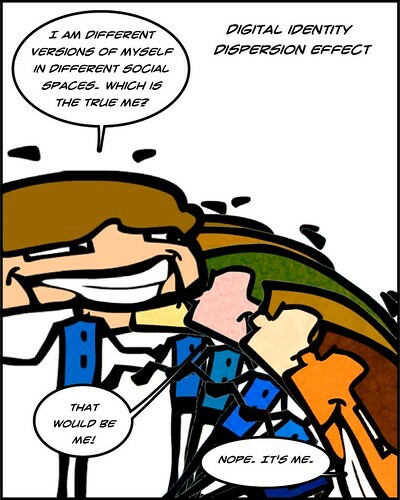 The comic above, for example, was in response to wondering how people represent themselves different in different digital spaces, and how our multiple identities are both connected an disconnected. There’s been more wrestling with language, too, and what words one uses to describe connector points. Communities. Networks. Conversations. I don’t even know anymore. Let’s just talk and worry about what to call it some other time. We circled back to a talking point from a few weeks ago, too, on whether online sites should be open for readers to engage the writer, or closed to the readers to protect the writer. I fall on the side of open. Interestingly, hashtags themselves became a topic of conversation, and what it means when discussion centers around a shared hashtag. Who owns it? Are there rules? There was the theme of “hospitality” that many of us grappled with this week. I see it as, how do we welcome newcomers and encourage latecomers, and connect with those already there. Whatever “there” is. Or wherever. See? Language! … but then, not long after, I was critiquing Google and other companies for siphoning up our data even while pitching educational sites to kids. Sigh. So much for pondering the positives. 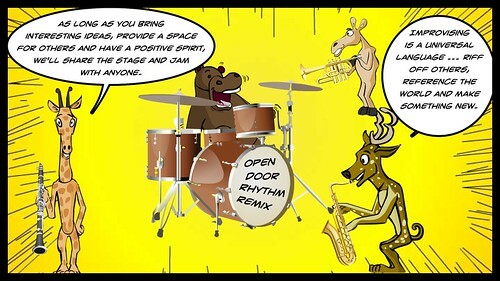 But … the slip was momentarily … for the idea of remixing and collaborating and making stuff with others still keeps me involved and engaged, and hopeful, and I hope you find a way in, too. Two articles crossed my RSS feed yesterday (yes, I still love my RSS). 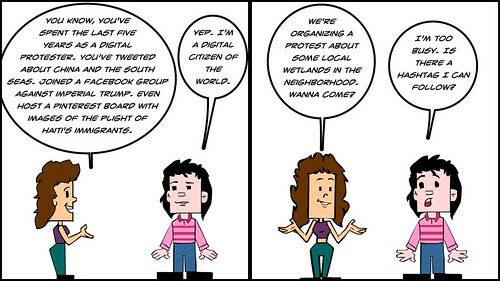 One piece is about student activists on college campuses advocating Bills of Rights, with at least some components related to knowing where their data is going when they use technology for institutional learning. The other piece is about how to best resists that collection as well as the sale of student data from tools being used in education. … many students .. are still unaware of their rights when it comes to how their online footprints are tracked—whether by third-party companies or sometimes the school districts themselves. Every day, we participate in a digital culture owned and operated by others — designers, engineers, technologists, CEOs — who have come to understand how easily they can harvest our intellectual property, data, and the minute details of our lives. 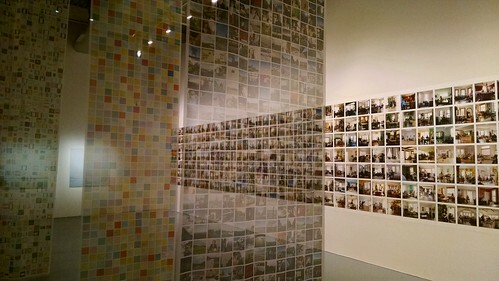 Both pieces are centered on awareness, advocacy and resistance to the this scouring and selling of privacy and data. The focus is on students — mostly university students — yet think of how many K-12 schools are now being more tech-focused, marketing themselves in this Age of Choice as digital innovation hubs to attract more students, and thus, more tuition. 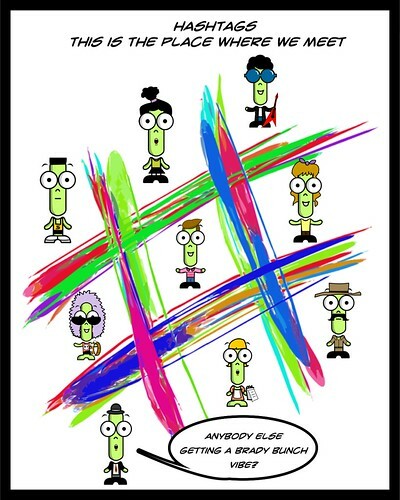 A funny thing happened on the way to academic integrity. Plagiarism detection software (PDS), like Turnitin, has seized control of student intellectual property. While students who use Turnitin are discouraged from copying other work, the company itself can strip mine and sell student work for profit. You grant Turnitin a non-exclusive, royalty-free, perpetual, world-wide, irrevocable license to reproduce, transmit, display, disclose, and otherwise use your Communications on the Site or elsewhere for our business purposes. 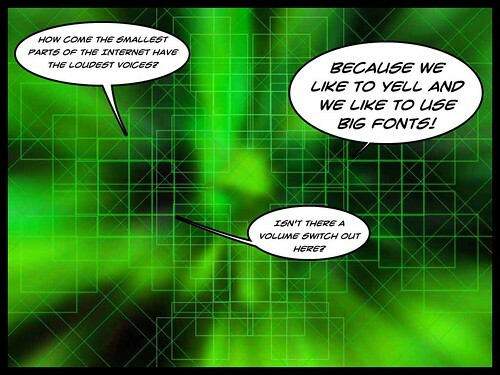 I’ve also been wary, for example, of a new initiative by Google called Be Internet Awesome. My wariness comes not from the content of the site — which is centered around teaching young people privacy and responsible use of technology and more, all of which I agree with, and a look at the curriculum there shows some positive thoughts about approaching these topics with students — but more about the way Google is designed as a company to use our data against us, by selling us to the highest advertising bidders. Isn’t it a bit ironic that Google is both teaching young people to be on the alert and also, the one they need to be on the alert for? How many educators will use this site but not make visible how Google’s business model works and how we “trade” our privacy for access to information? We owe it to our kids to make as much of this visible as we can. 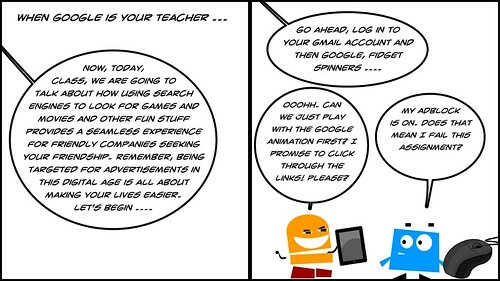 It doesn’t mean not using Google Apps for Education (which my district does and which we use all the time, and which has opened up lots of doors for my young writers) or even Turnitin and its ilk (although you might want to dive deeper into terms of service to make sure you and your kids know what’s what) and others. 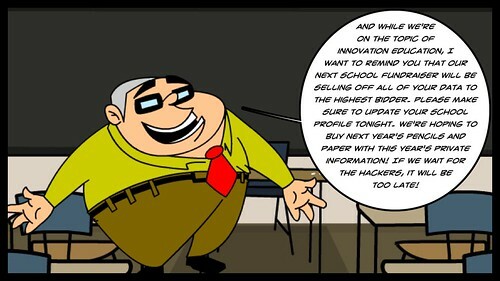 We should not enter into the World of EdTech with blinders on. Most “tech solutions” are built to make money, not serve in the best interests of our students, no matter how glossy and pretty their advertising is. The business plan is often what matters most, and all but a few business plans are built around profit. Young users are most vulnerable, I think, because they trust that the adults (teachers, administrators, etc.) who bring them into technology apps and sites know what they are doing, have done their homework, and have their best intentions at heart. The vulnerability comes because not all of those assumptions happen, and because companies like Google understand the long game — hook young users now and make money for decades to come. 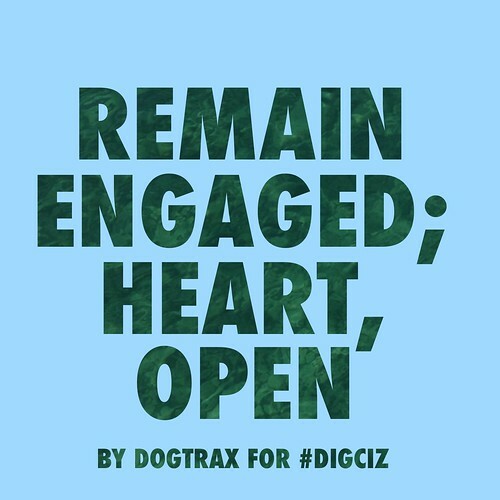 I’ve been trying my best to engage in discussions about “citizenship” and digital identity and more with the #DigCiz work now underway (see the schedule and join in the discussions). And I have appreciated all of the chatter and the debate (the word ‘citizen’ has sparked a lot of pushback). I’ve also been on a comic kick each day before heading off to work. 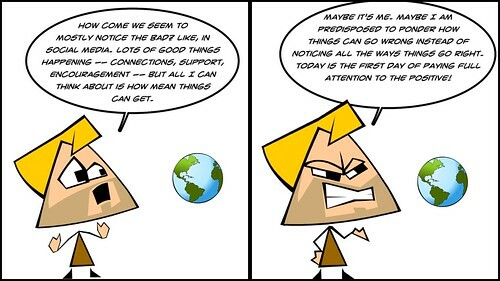 I’ve been mostly using my “slow-watching” of the video hangouts each morning to gather ideas for a daily comic. It’s my way to paying attention to what others are writing and saying, and then filtering my thoughts through what I hope is a humorous (although sometimes, sarcastic, but hopefully, never mean) lens of comics. 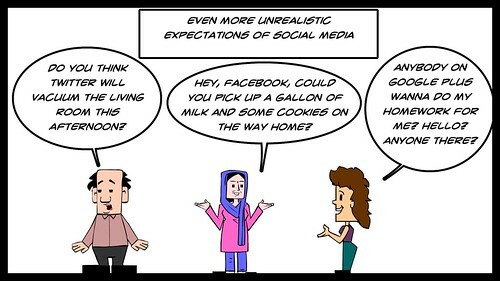 This comic came about from thinking in terms of how we expect our various social media platforms to be more and to do more than they are designed to be and do. In some ways, our expectations are unrealistic, and then we are disappointed. This is not to say that Twitter and Facebook and others can’t do more than they are doing (particularly around policing the hate), but I think we also need to cognizant of the reality. But if Twitter wants to vacuum the house? I’m OK with that. I hesitated on posting this one. I didn’t want it to become a harsh critique of the discussion and folks behind the discussions, folks I admire and enjoy engaging with. 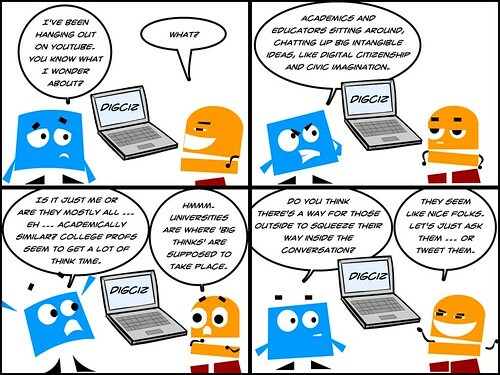 But I was wondering how others could be invited in, too, since the #DigCiz crowd seems very University-based, and already a close network of people. Again, who owns the platform? We often think we, the user, is in charge, but the reality is the flip — the platforms often own us, and our data, and our information. Why? Notice the dollar sign? That’s why. This was one of my favorites of the last week or so. I think it was an effective look at how corporations are using our children as click-bait for advertising, and how the interactive features of technology allow for such easy access, and easy sharing of data and privacy and more. Young people are vulnerable! And yet … there’s something pure and loving about young people, too, and perhaps we need to pay attention to that notion of play and compassion and collaboration when thinking of how we adults can interact. There was a link someone shared that I followed about a new Google site for teaching digital citizenship, and I found it strangely ironic, given how much Google taps into our what we do with our time to target us for advertising (and making gazillions of profit as a result). The adblock question in the second frame still cracks me up. Here is the crux of one conversation: how do we help people see their online selves as part of the larger world and move beyond the “follow” into action in their own worlds? Or do we? There was a strand of talk about how people have the right not to engage in the public sphere, too, and that true citizenship, if that’s even the right word, is voluntary and meaningful, not forced. 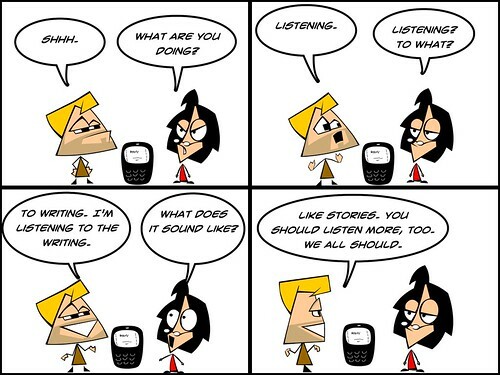 Listen more. Yell less. That’s an idea. Someone in the #DigCiz community shared out a research piece about the rights of children in the Digital Age, and I spent some time the other day looking through it. You can, too. The two researchers — Sonia Livingstone and Amanda Third — scoured through research on children to parse out what rights young people have, or don’t have, in the digital world. 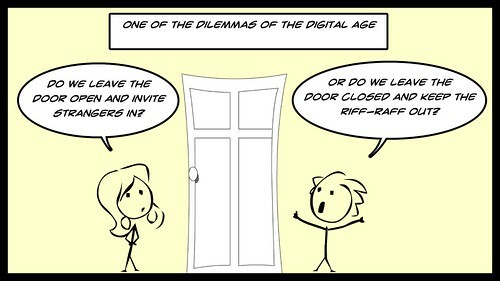 As we talk about Digital Citizenship and Civics in the Digital Age, I find it important to remember the balance of adults and children, and how too often young people’s unique concerns and issues of agency get left out of the discussions. Really, the focus should be all about the kids. 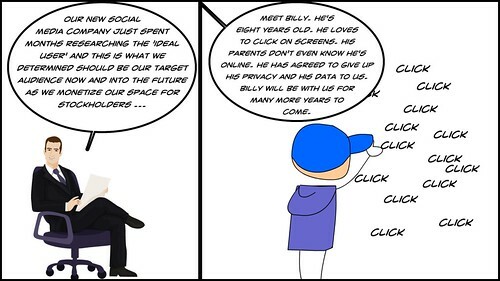 Yes, as an adult, I have my own personal concerns about digital platforms (See Doug Belshaw’s post: Friends Don’t Let Friends Use Facebook), and the commercialization of our data, and the privacy decisions made behind closed doors. As adults, we can navigate, react, resist, leave, stay, pause. What rights should young people have in the Digital Age? How do we articulate their concerns? How can we empower young people to be part of the conversation and support their unique status when technology companies and governments try to exploit them? Where is the line between adult protectiveness and youthful exploration? I don’t have the answers. But, as a teacher and a father, I am often thinking about it. I hope you are, too. Count me as curious. 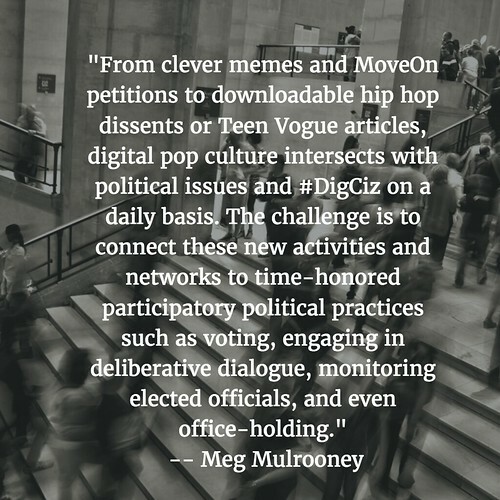 I am dipping into DigCiz — a schedule of online interactions in the open designed to generate discussions about Civic Discourse in the Digital Age, and Digital Citizenship. The first week, which has just begun (see Mia Zamora’s post), is about creating a four-word story about what digital citizenship might be. Here’s mine. Not quite a story, as much as a reflection. Or maybe a hopeful conceit. I also read with interest a post by Bonnie Stewart (The Crosshairs of the Split Hairs), and her ideas about agency and technology and the interactions between our devices and our world … as well as the difficult navigational points … had me thinking. Thank you, Bonnie. I went back to the post and used some of the text for a video interpretation. Bonnie and Mia are facilitating this week. Come join in the inquiry, if you can and if it interests you. 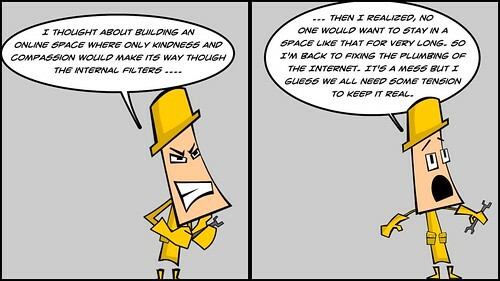 I’m going to try to make some webcomics as much as I am able, if only to poke fun at myself as I think through ideas. 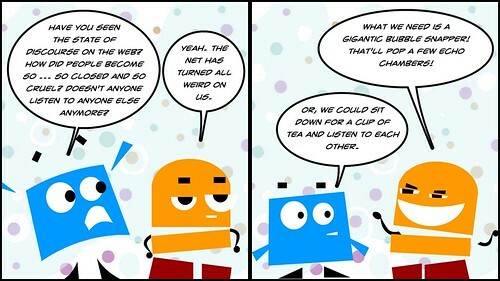 I will also follow the conversations and reflect.